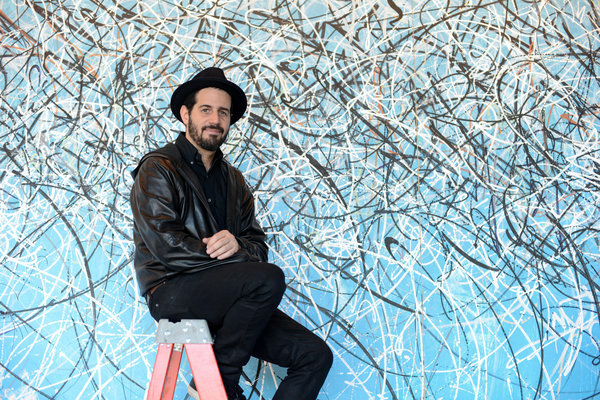 The Cuban-American Brooklyn-based artist José Parlá makes stunning massive murals of his signature calligraphic swoops on vibrant color planes. We hung out recently at the Barclays Center in his ‘hood, for a New York Times Styles section story, where he showed me the piece Jay-Z helped him get the commission for. Then we had Cuban coffee at his studio-home around the corner, an old carriage house where Spike Lee made his first films.